I really can’t believe it’s December. Christmas is in 23 days?! I have no idea where this year has gone. In other news I have finally joined the 21st century and embraced online shopping. It’s the best. I will probably never go Christmas shopping in an actual store again. Traditionally I have waited until the week before Christmas and then scrambled around trying to compile decent presents for my loved ones (sorry guys!). This year? I’m basically done with my shopping thanks to the interwebz! And it has all been done in the comfort of my PJs while laying in bed. Besides catching up with the times and using technology what else have I been up to lately? 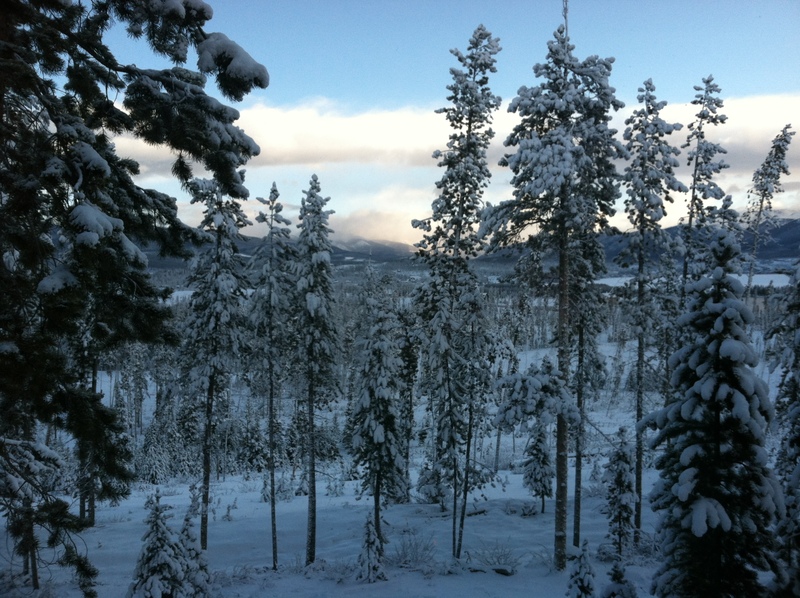 Hanging out in Breckenridge a bit. Evening sky over Breckenridge resort. Morning walk with the dogs in Carter Park. Graham is working up in Breckenridge for the next year, and so I visit whenever my schedule allows. It’s funny, Breckenridge was previously not my favorite town in the world, and I thought the mountain was always way too crowded for skiing. I’ve gotten to see a different side of Breckenridge thanks to Graham and I will say it has grown a lot on me. And hey, the free parking in the gondola lot after 2 p.m. is actually quite handy if you’re a local! I recently had a fun time eating at Session Kitchen on Thanksgiving Eve with a group of girlfriends. It’s a new place on South Pearl Street in Denver, and it really set the bar high for actual Thanksgiving. Favorites included lamb collar, french fries and a delicious beet salad. I scored some Patagonia beer. I like Patagonia gear. I like beer. When Patagonia recently teamed up with New Belgium to make a limited edition beer I knew I had to find some. I tracked some down in Denver at Argonaut and was pretty impressed with the beer! It’s a mighty fine lager. And the cans are just the coolest! I laid around at a cabin for a weekend. After spending Thanksgiving with Graham’s family in town I reluctantly headed to work on Black Friday. Luckily, I don’t work in retail, so it was actually just a quiet, productive day in the office. Plus I was heading up to Grand Lake after work for a relaxing weekend at the cabin, so I had that to look forward to! Lake Granby a few weeks ago. I mostly spent my time drinking margaritas, reading in front of the fire and going on dog walks. On Saturday afternoon, Graham, his sister and I headed to ski Mary Jane for the first time of the season. MJ, which is the best part of Winter Park, had just opened earlier in the week, and we headed there with pretty low expectations. We were all kind of shocked when we found tons of terrain with huge moguls already developed. Crazy good bump skiing for November 30. I had my first two falls of the season on some moguls, naturally. No pain no Jane! 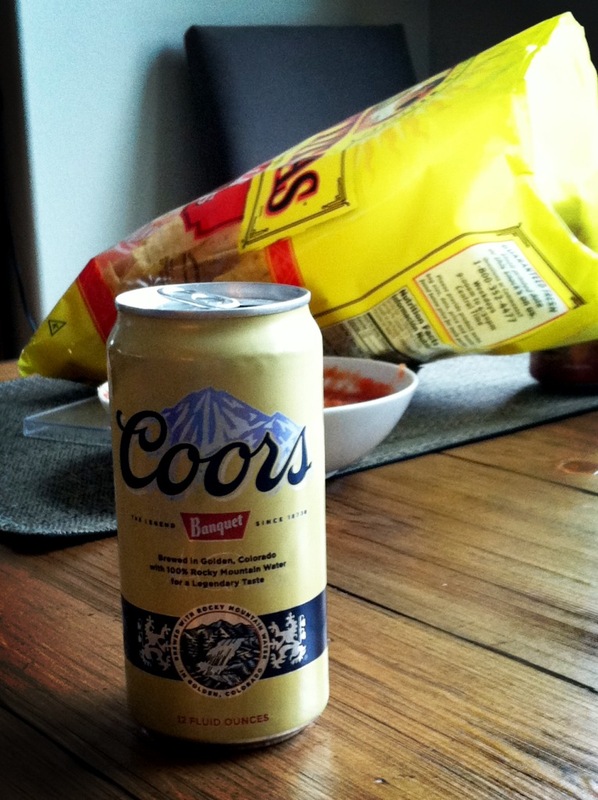 Breckenridge, Session Kitchen, Patagonia beer, and cabin time…I guess that really sums up life lately! I’m not upset that’s what my life consists of right now. I’ll leave you with Cooper, my current cell phone background. That dog! He should have been a model. Categories: fall, family, food/bars, friends, life | Tags: grand lake, mary jane ski area, patagonia beer, session kitchen, yellow lab | Permalink. I’m about to write a blog entry about a card game. Yes seriously. This either means I have completely lost it or I’m writing about the best card game ever. My vote is the latter, and hopefully you agree too! Lately my life has seriously been benefitting from a lot of cabin time in Grand Lake, Colorado, and I was up there this past weekend with a group for a few days of mountain quality time. Cabin view on Sunday morning. On Saturday night (okay and day) we all played a card game that my roommate’s boyfriend taught us called “Contracts”. We had so much fun with the game that we probably played for five hours over the course of the entire day. Back in Denver on Monday morning I was talking to Ashley, one of my best friends from college, about my weekend when I realized that the cabin card game sounded eerily familiar. In fact it sounded a lot like a game called “Oh Hell” that Ashley taught me while we were studying abroad together in Buenos Aires. A quick Google search for card game rules confirmed that the games were in fact the same. No wonder I had enjoyed Contracts so much at the cabin! 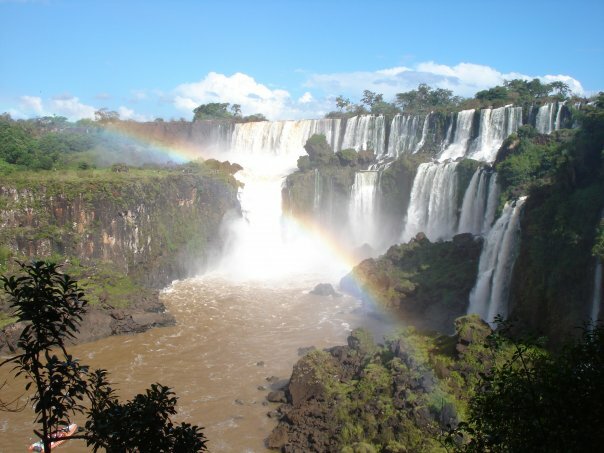 Iguazu Falls near the Brazilian/Argentine border. 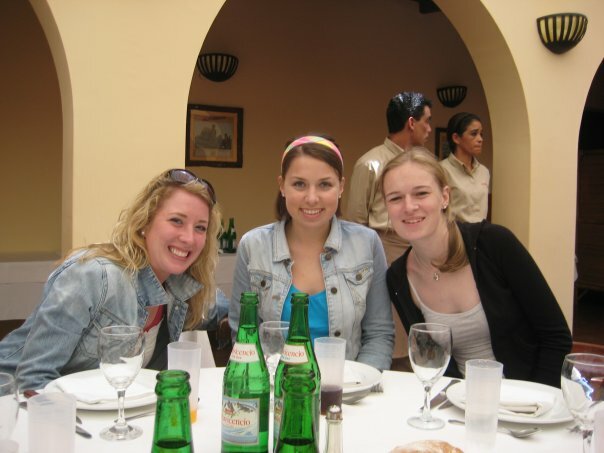 In 2008 I spent a semester abroad in Buenos Aires, and lived with the same host family as Ashley. We went to college together and knew each other through the cross country team but were not necessarily super close friends before Buenos Aires. Last October I was the maid of honor in Ashley’s wedding so you could say Argentina ended up being a bonding experience for us! 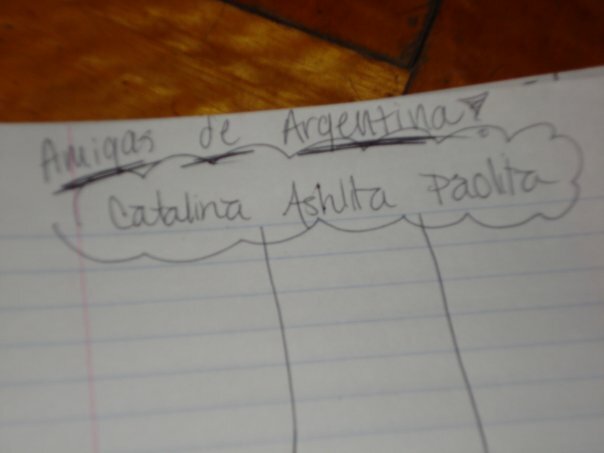 Anyway, Ashley and I spent a lot of time in Argentina hanging out with Caitlin, another girl in our study abroad program, and Ashley taught us all the card game Oh Hell early on in the semester. We quickly fell in love with the game, and anytime we traveled together or had downtime you could guarantee we had a deck of cards with us. Ashley, me and Caitlin. Probably waiting for steak. Circa 2008. Actual Argentine scorecard from one of many games of Oh Hell. We were so obsessed with Oh Hell that Ashley and I even came up with a two person variation of the game that we would sometimes play in the evenings at our host family’s house. My mom and brother Derek came to visit Argentina at the end of my semester, and I taught them Oh Hell. 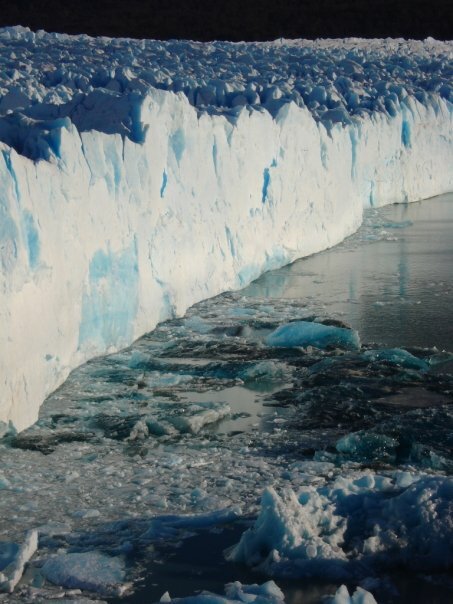 Of course they loved it too, and we spent many nights in Patagonia and Tierra del Fuego playing Oh Hell. After Argentina life kind of got in the way of time for card games, and I eventually forgot how to play Oh Hell. Thank goodness I was reintroduced this past weekend! Moral of the story – “Contracts”, “Oh Hell” or whatever you want to call it is one of the best card games I have played in my entire life. From South America to the Colorado Rocky Mountains the game is endorsed by Ashley, Caitlin, myself, Ashley’s family, my family and now everyone who was at the cabin this past weekend. You just need a deck of cards and some way to keep score. It’s perfect for summer camping trips or winter nights in a cabin! And now I leave you with a parting shot of skiing this past weekend at Mary Jane and the rules to the “Contracts”/”Oh Hell”. Enjoy! 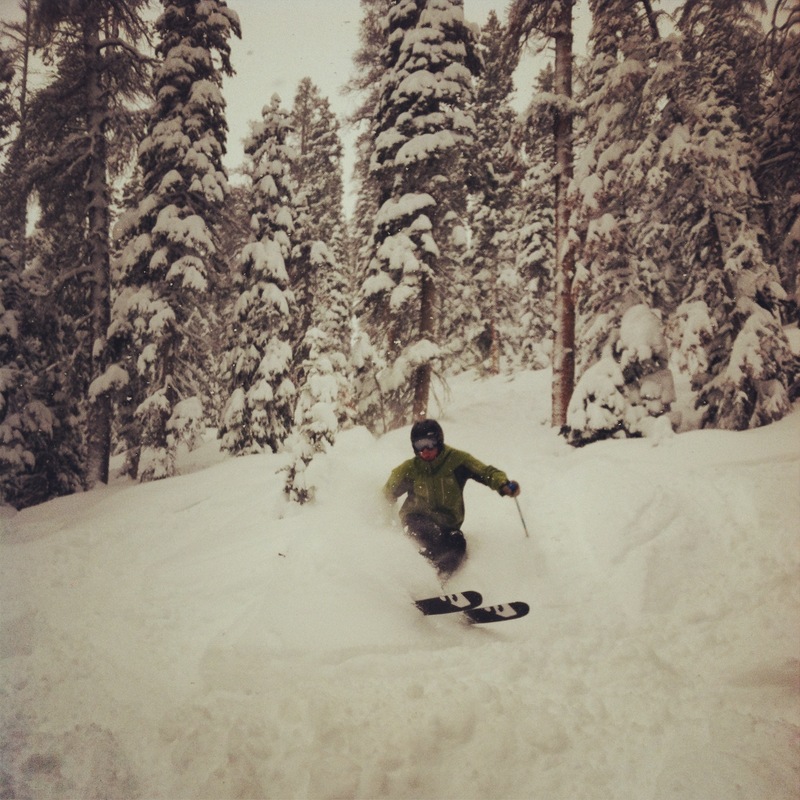 Nothing like some late spring pow! Making turns on April 14 at Mary Jane. From 3 to 7 people can play. The game is best when played with 4 to 6. (because of the limit of 52 cards available). Each successive hand is played with one card fewer, down to a hand of just one card each, then one card more per hand back up to the starting level. Example: With 7 players, the hands are: 7 cards, then 6,5,4,3,2,1, then 2,3,4,5,6,7, for a total of 13 hands to the game. A game should take approximately 45 minutes. The object is for each player to bid the number of tricks he thinks he can take from each hand, then to take exactly that many; no more and no fewer. Points are awarded only for making the bid exactly, and are deducted for missing the bid, either over or under. The hook is that at least one player will fail on each hand, because the total number of tricks bid by the players may not equal the number of tricks available on that hand. To determine the first dealer, draw cards. The player with the highest card deals first. The turn to deal rotates clockwise with each hand. The cards are shuffled and cut and the dealer deals the cards singly until everyone has the appropriate number of cards for the hand being played. The next card is turned face up and the suit of this card is the trump suit for the hand. The trump suit beats any of the other three suits played in that hand. The remaining undealt cards are placed in a face down stack with the turned trump on top of it. The bidding in each hand begins with the player to the left of the dealer, then continues clockwise, back around to the dealer, who bids last. Each bid is a number representing the number of tricks that player will try to take. Everyone must bid – it is not possible to pass, but you can bid zero, in which case your object is to take no tricks at all. A bid may be changed only if the next player to the left has not yet bid. Remember the hook: the dealer may not bid the number that would cause the total number of tricks bid to equal the number of tricks available; a hand will always be “over-bid” or “under-bid”. Keep in mind when bidding that not all cards in the deck are in play in any hand. The play begins with the player to the dealer’s left, who leads the first card. The lead may be any suit (including trump). Play follows clockwise. Each player must follow the suit led, if he can. If not, he may play any other card in his hand, including trump. The player who has played the highest trump card, or if no trump was played, the highest card of the suit led, wins the trick. That player then leads to the next trick. Continue until all tricks have been played and won. The scorekeeper is designated prior to each game according to house rules. The scorekeeper, needless to say, has a distinct advantage, and should be monitored closely for “inadvertent” errors. The designated scorekeeper notes each bid and resulting scores on a score sheet. There are many different ways to score Oh Hell! In the simplest version, a player who wins the exact number of tricks bid scores 10 plus the number of tricks bid (10 points for zero tricks, 11 for 1 trick, 12 for two tricks, etc.) Players who take more or fewer tricks than they bid score nothing. Categories: friends, miscellaneous, weekends | Tags: argentina, cabin games, card games, grand lake, mountains, winter, winter park | Permalink.